Bernie Lee, who came to the U.S. from Malaysia , has made his name as a restaurateur. Photo by Janet Park. Restaurateur Bernie Lee now owns two of downtown’s hottest dining concepts. Hiro Asian Kitchen, which has been successfully promoting hyper-local ingredients and Southeast Asian cuisine on Washington Avenue for more than five years, is now joined by Hiro Poké Co., the ultimate build-your-own bowl addition to the downtown business lunch scene. An outsider who’s made good in a famously insular city, Lee’s story is one of determination. 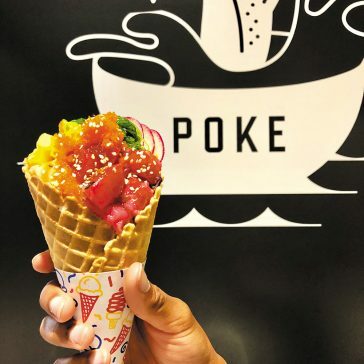 Hiro Poke Co. offers build-your-own poké bowls. Photo by Bernie Lee. Lee moved to the United States twenty years ago from his native Malaysia. 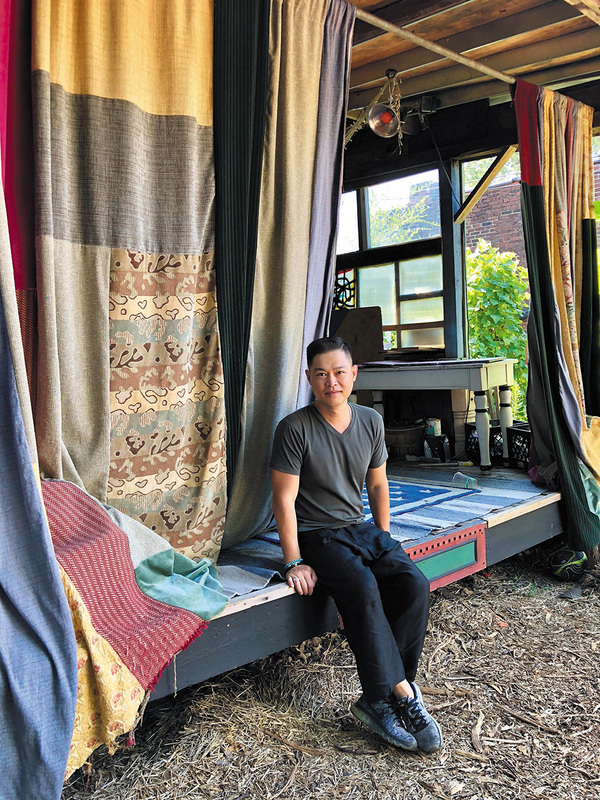 His grandparents fled the Chinese Civil War to move there as refugees in the 1940s, and Lee was born to first-generation Malaysian-Chinese. It is from the root of this rich culture that Lee pulls his culinary inspiration. “My mom, childhood memories, my travels, experiencing unknown talented chefs from all backgrounds… They are my inspiration for the experience I strive for,” Lee explains. Young and as yet unaware of his culinary talents, Lee came to St. Louis seeking both higher education and new cultural experiences. He spoke six languages, but English wasn’t yet among them. The language barrier led to criticism and bullying from college classmates. Undeterred, Lee took a job as a busboy at a locally owned restaurant in Kirkwood. What started as a way to make extra money while in school quickly led to a life-changing realization; Lee was passionate about providing a great dining experience. Moreover, he was damn good at it. Upon graduating from the University of Missouri-St. Louis in 2000, Lee found himself submerged in the food industry and loving it. But it was actually a negative customer-service experience, one that involved being publicly humiliated in a local bar, that sparked his desire to open a space of his own. Lee became determined to create a space that was welcoming, unique and top tier in all areas of customer service. In 2003, he got his chance, opening 609, St. Louis’ first Asian fusion restaurant and lounge. He was just 27 years old. Determined to perfect his craft and certain he was onto something, Lee took everything he learned and focused on his heart, his passion and his home. In 2013 Lee closed 609 and opened Hiro, a more elevated concept that offered a culturally rich reflection of his home country. “So many people were expecting me to fail in a short time. I just kept telling myself, ‘Do it for my culture, do it for my ego!’ If I would have failed, at least I tried; if I made it, I would always have a fun story to tell later in life,” he says. Through that determination and the encouragement of Lee’s friends and other local restaurateurs, Hiro quickly established itself as a downtown mainstay. And Lee continues to do his part. 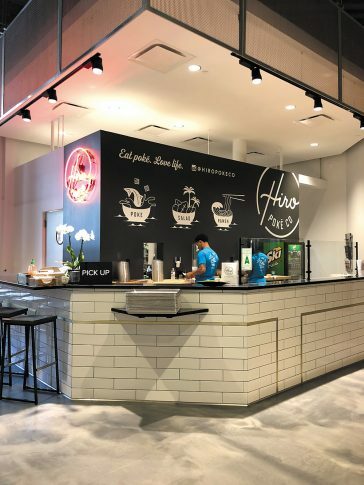 His newest culinary project, Hiro Poké Co., opened downtown in the Metropolitan Square Building at Broadway and Olive this summer. While other local poké bowl spots beat his opening by a few months, it was the always-innovative Lee who had initially introduced the city to poké at Hiro Asian Kitchen. He later noticed the trend popping up in other major cities and knew it was time to bring it back to St. Louis, this time with a dedicated space of its own. Lee’s next goal is to open multiple poké spots. These, he says, won’t be lunch spots but rather fine dining in the vein of Hiro: ultra-chic, contemporary Asian boutique eateries serving fine wines and Asian-inspired craft cocktails. Lee lives by this. And at Hiro Poké Co., he’s again putting it in action.